Say hi to my 20 minute Pad Thai! I have been loving connecting with the foodies that follow me on IG lately, and after running a little poll, we discovered that Asian Fusion was the most loved cuisine amongst the group! From this, I wanted to know what is one dish you wish you knew how to make; if you hadn't already guessed, Pad Thai was the #1 request! 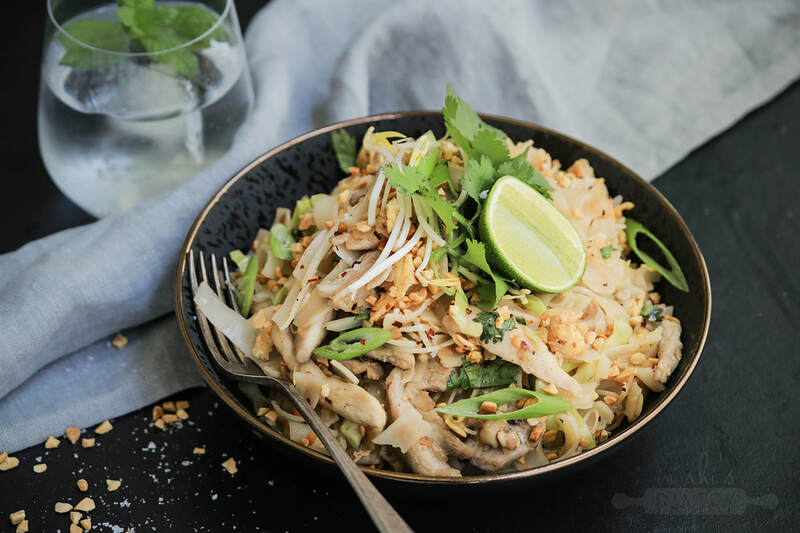 Pad Thai is a takeaway crowd pleaser, and is honestly incredibly quick and easy to make at home! 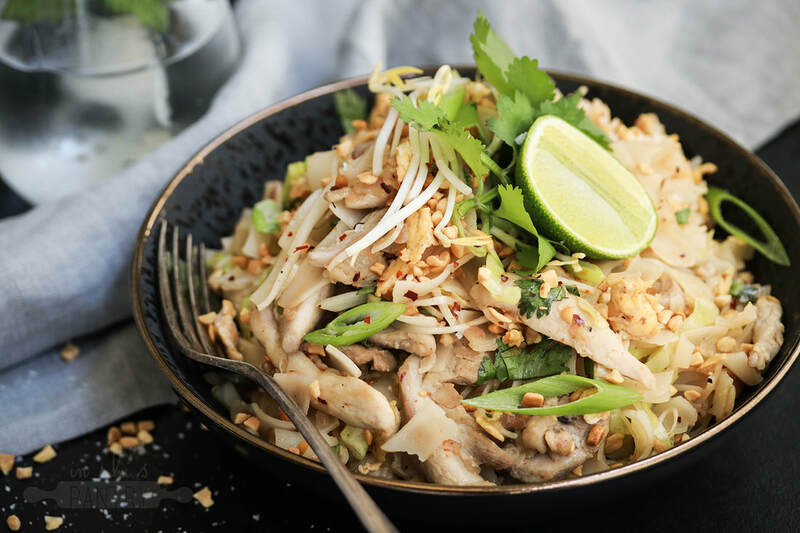 All you need is a few fresh ingredients that you can find at any supermarket plus 20 minutes of your time, and you'll be sitting down to eat Pad Thai that is better than you have ever bought from your local. You must try this dish! In a dish or bowl, cover the noodles in boiling water and leave to sit for 5-10 minutes or until soft but still firm, stirring occasionally to ensure they don't stick. In a small jug, stir together the fish sauce, sugar, vinegar, soy and sriracha until well combined, then set aside. Bring a large pan or wok to a medium high heat. Drizzle the pan with oil, then pan fry the chicken and cabbage for 5-7 minutes in 2 batches until golden brown in colour and cooked through. Set aside. Lower the pan to a medium heat, and add the onion, garlic and ginger. Cook while stirring until softened, then pour in the whisked eggs and scramble to create small pieces. Bring the pan back to a medium high heat. Drain the noodles and add the pan, along with the chicken and cabbage. Toss well to combine, then pour the sauce over the noodles. Toss again to coat, cooking for 2-3 minutes. Stir through the bean sprouts, coriander, peanuts and lime juice. Season to taste if needed. Serve immediately, garnished with lime, coriander and sprouts if desired.